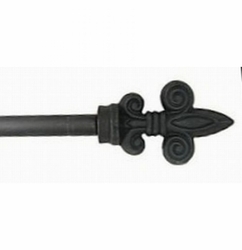 Designer rod set adjustable cast iron metal rod with Fleur finials. Home decorating made easy. 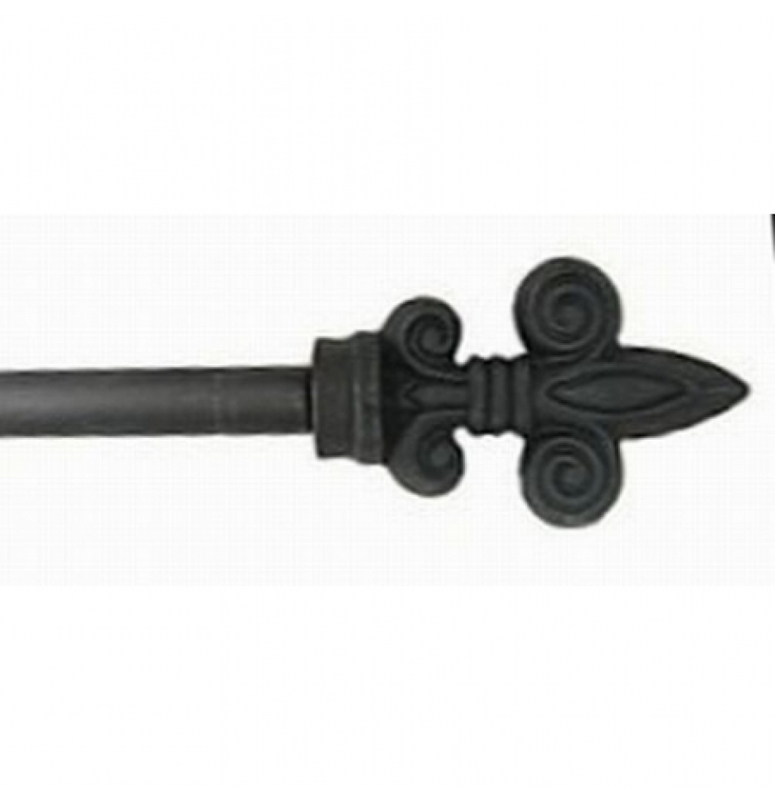 • Adjustable cast iron black metal rod with black fleur finials extends from 26-50". • Finials extend approximately 2 inches on each side of tapestry. • Thickness of rod: half inch.